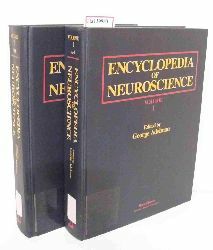 Adelman, George Adelman, George Encyclopedia of Neuroscience. Vol. 1. [2 Vols.]. Birkhäuser Basel 1987 Hardcover Sehr guter Zustand/ very good With figures. Library binding. 1248 Biology Biologie With figures. Library binding.